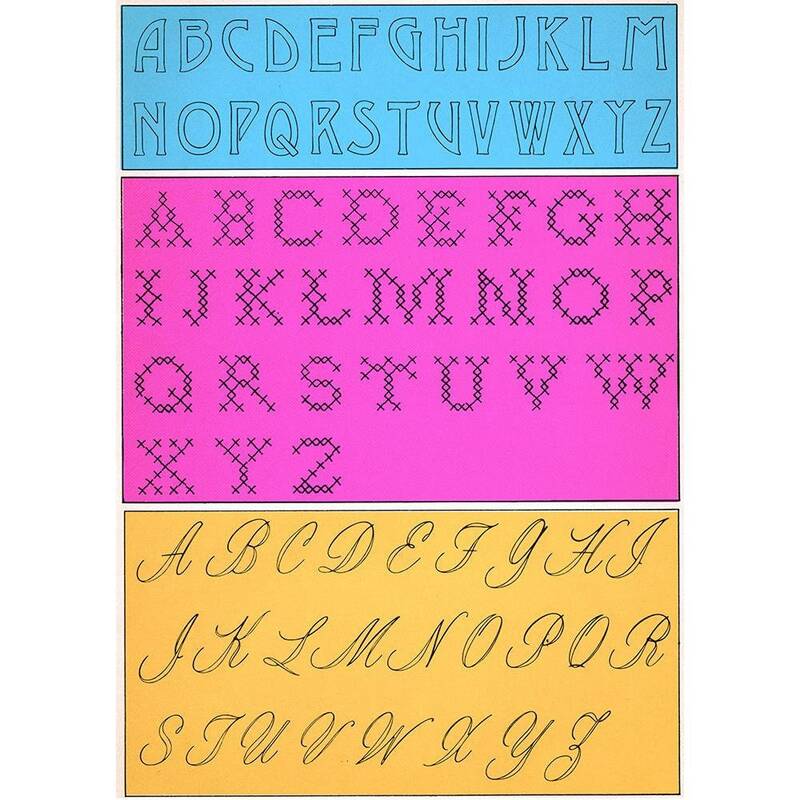 Embroidery transfer including a font that's very similar to the same one made famous by Led Zepplin! 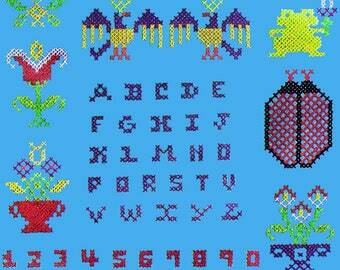 So very seventies—perfect to personalize linens, sweaters, dog beds, etc. 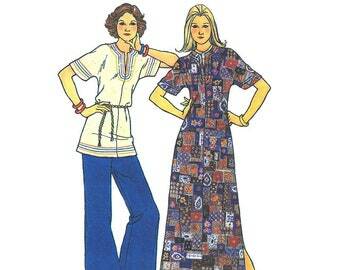 Vintage c. 1970 Butterick transfer 5739. Transfers are complete with instructions and are unused with original factory folds. 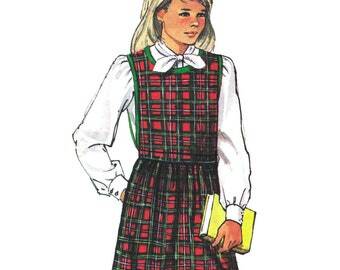 Notes include: "Pattern includes two complete alphabets of every style and size and instructions for embroidery stitches. 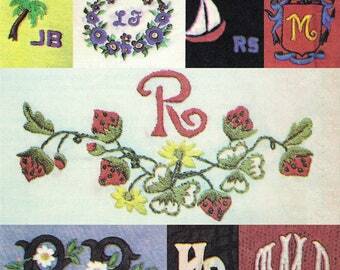 Yellow transfer stamps once on most light or dark fabrics (except yellow)." 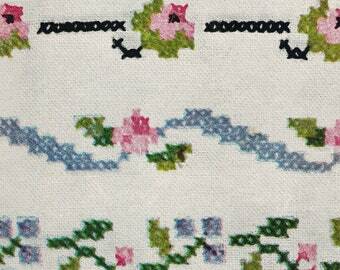 This is an original transfer, not a reproduction. ✉️ Your transfer will be packaged in a clear 2mm Polyethylene bag and shipped in a rigid cardboard envelope so that it won't get bent or crumpled during transit. 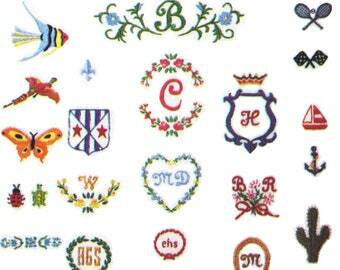 Americana Embroidery Transfers! 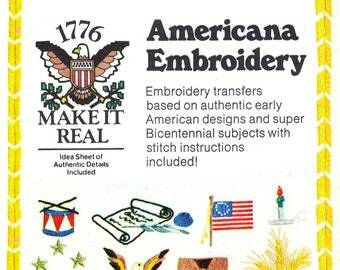 Vintage c. 1976 Butterick Transfer 4308, "1776 Make it Real Americana Embroidery" Bicentenial Motifs! 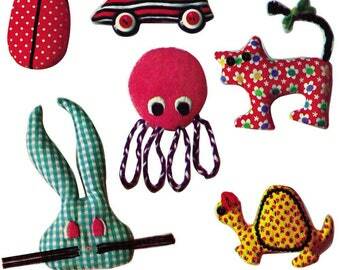 Santa Fe Embroidery! Vintage 1970s Butterick Embroidery Transfer 4345, DIY "Instant" Embroidery! American Indian and "Fair Weather Scenes"
Lucky Charms! 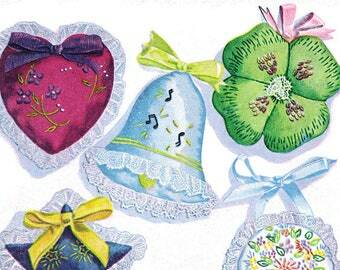 Vintage ©1946 Simplicity Embroidery Iron-On Transfer 7239, "Dainty Sachets" Hearts, Flowers, Stars, Bells, Four-Leaf Clovers!